the game immediately changed. 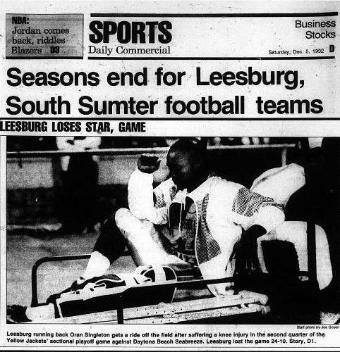 Did the injury knock the wind out of Leesburg's players? "Everybody knows it did," said center/linebacker Ty Lawrence. "But they just didn't want to say it."